Purportedly progressive Massachusetts is not safe from Trump’s racist deportation machine. Last Tuesday, Siham Byah — a 40-year-old undocumented Moroccan Muslim woman, single mother, and community activist — was detained by ICE at what was supposed to be a routine check-in. Her friends and community are fighting to prevent ICE from deporting her to Morocco, where she would be in serious danger due to her human rights activism there. (Siham is a local and international activist, involved in Muslim organizing, Occupy Boston and the Arab Spring.) Her lawyer believes she is being targeted for her political activism, as she has been before during Occupy. In New England, ICE has a reputation for targeting immigrant community activists. 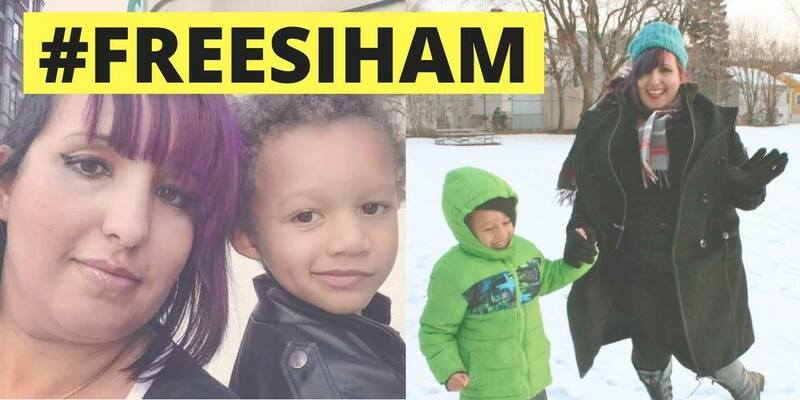 Siham is also a single mother to an eight-year-old son, for whom ICE originally made no care arrangements before taking his mother while he was at school. She is on a hunger strike until she is released and reunited with her son. Call, call call: Call Siham’s senators, Elizabeth Warren and Ed Markey, and the Burlington MA ICE Office. Cosecha has instructions about what to say. Donate to her legal fund directly or by buying a t-shirt. Follow the campaign for updates and local actions. If you’re a Boston resident, turn out for the next rally. Sign the petition to free Siham and pledge to fast in solidarity. Let’s be clear: when our friends, family, and community members can be quietly detained and separated from their families with no warning and no due process, that is called fascism. We cannot and will not stand for this kind of authoritarian creep. This is an attack on all immigrant communities, all communities of color, all working class communities. As feminists (and human beings! ), we have a responsibility to support immigrant communities that are under attack, by any means necessary.